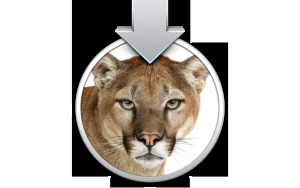 Apple on Thursday released Update 10.8.1, its first incremental update to the Mountain Lion edition of OS X.
Apple lists a variety of fixes and improvements that the update includes. Among them is a fix for Migration Assistant crash, improvements to the Mail app’s support for Microsoft Exchange, and resolution for a bug that affected connecting to SMB servers with long names. Also included in the update are fixes for issues when playing back audio through a Thunderbolt display, a bug that prevented iMessages from getting sent, and an issue that could cause your Mac to become unresponsive when using Pinyin input. Rounding out the update, Apple says, are fixes for issues that could prevent Safari from launching if you use a Proxy Automatic Configuration (PAC) file, and improvements for 802.1X authentication with Active Directory credentials. The update is available as a download via the Mac App Store, or directly from Apple’s site. It weighs in at a svelte 24.2MB. Apple hasn’t yet posted the security updates included in the update; we’ll post those when that information becomes available.